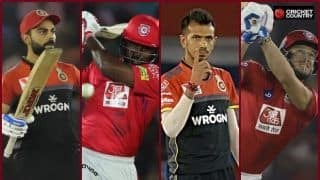 At the half-way stage of IPL 2019, here is a look at the major flops of the season so far. 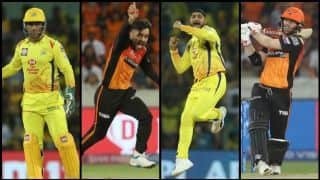 The Australian allrounder, retired from international cricket since 2016 when he played the last of his 58 T20Is for Australia, was a vital player for Chennai Super Kings last season as he won his second IPL title with a century in the final. 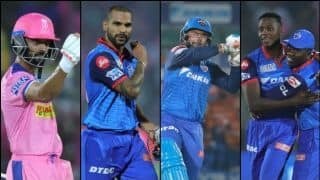 Watson finished the 2018 IPL season with 555 runs but this year he has failed to ignite. 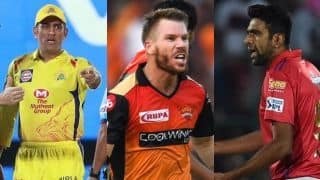 With two ducks, two scores under 10 and a top score of 44 off 26 balls which earned him the Man-of-the-Match award in CSK’s second game, Watson has been a big letdown for the defending champions. 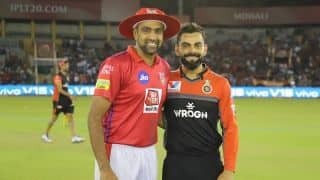 Hopes were high from teenaged Shaw when IPL 2019 began, owing to his outrageous talent and the fact that he had recovered from the gruesome ankle injury suffered in Australia. But barring one match in which he made 99, Shaw has not been consistent. 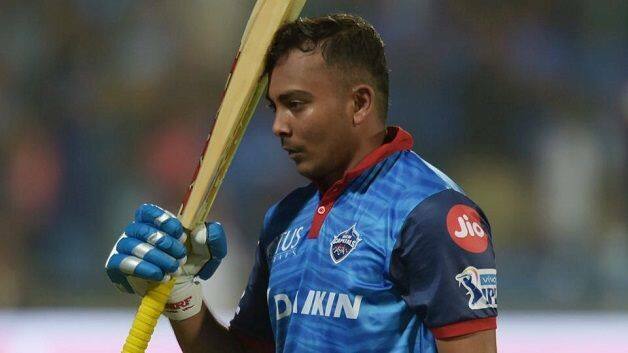 Subtract that 99, and his season tally for Delhi Capitals stands at 88 runs from seven innings. His problem has mainly been getting starts, and seeing out spin early on in games. 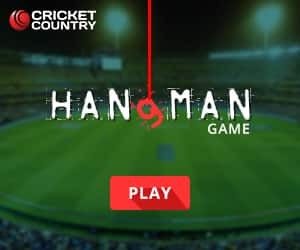 Hetmyer, the hugely talented young West Indian, has in four games for Royal Challengers Bangalore batted at No 5 and opened, with returns of 15 runs. 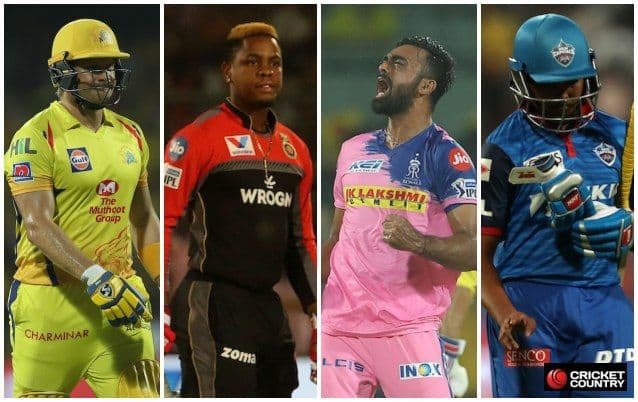 Purchased by RCB for Rs 4.20 crore at last year’s IPL player auction following a good show during West Indies’ ODI series in India, Hetmyer has not had a good run. The joint highest earner at December’s auction when he was re-purchased by Rajasthan Royals for a whopping Rs 8.4 crore, Unadkat has struggled. 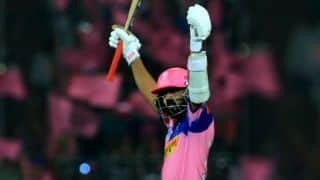 In Rajasthan’s opener versus Punjab, Unadkat conceded 44 runs in three wicketless overs of which 19 came in one over to Chris Gayle in a period in which the West Indian scored 51 runs off 21 balls. 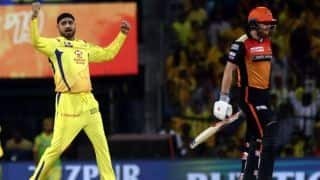 Against CSK, he was taken for 28 runs in the final over with MS Dhoni hitting three sixes and Ravindra Jadeja another. Since that pasting, Unadkat has been in and out of the XI with returns of 1/26 from three overs, 1/23 from three and 1/36 from four. 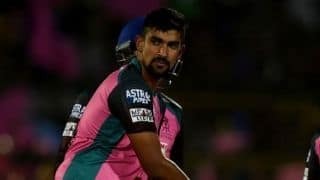 The left-arm pace bowler, capped 18 times by India, did not have a good 2018 IPL. In 15 games, he claimed 11 wickets an 44.18 apiece and with an economy rate of 9.65. For his massive price tag, Stokes has not had a great run in the IPL. In six games, he has totalled 104 runs at a strike-rate of 131.64 and taken six wickets with an economy rate of 11.22. Two games stand out. When Rajasthan played Kolkata Knight Riders, Stokes walked out to join Steve Smith in the 16th over. 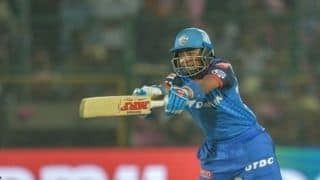 He made 7 not out off 14 balls, Rajasthan ended with 139/3 in their 20 overs and lost to KKR by seven wickets with 37 balls left to be bowled. 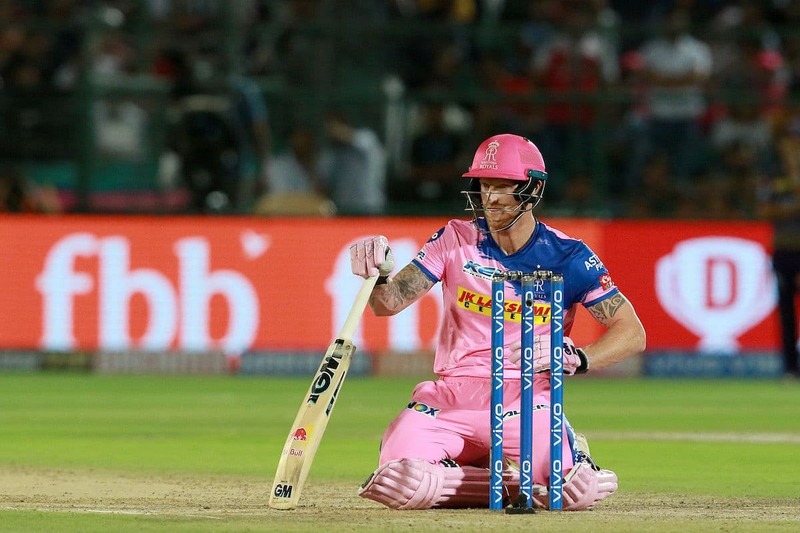 Then against CSK, when Rajasthan were defending 18 runs off the last over, Stokes bowled two no-balls and a wide, conceded a six off the first ball and last ball. 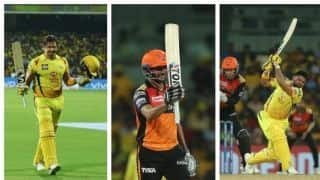 Pandey came to Sunrisers Hyderabad from Kolkata Knight Riders with plenty of promise, but in his second season he has not done much. In five innings, Pandey has a top score of 19 and a strike-rate of 93.10. In the win over Rajasthan, he made 1 off 4 when he played all over a faster delivery from Shreyas Gopal. Against Delhi, Pandey got 10 off 13 balls before he swatted Ishant Sharma to deep midwicket. Scores of 16 off 21 balls and 19 off 15 followed in consecutive defeats.